James Carson Hurley Brown, 81, of Mt. Gilead, passed away Saturday, February 9, 2019 at Rowan Medical Center. 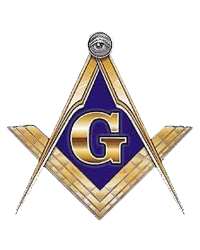 A graveside service with Masonic Graveside Rites will be held at 2:00 p.m. Wednesday, February 13, 2018 at Southside Cemetery, officiated by the Rev. Brantley Moore. The family will receive friends immediately following the service at the gravesite. Born September 1, 1937 in Montgomery County, he was a son of the late William Ledbetter and Lucille Hurley Brown. Hurley was self-employed in the construction industry, a 32nd Degree Mason, and he loved boating. He is survived by his wife Joyce Harris Brown of Troy; his son, William Harris Brown of Mt. Gilead; and one grandson, William Hurley Brown. He is preceded in death by a brother, Bill Brown.